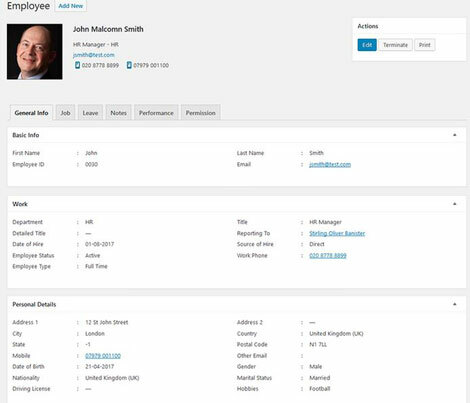 WP-HR Manager: lets you record and manage employee information, set holiday / leave policies, create roles, track employee performance, and monitor changes to records. The pro version lets you import/export data, maintain multiple holiday calendars, and do a whole lot more. WP ERP: this HR plugin helps you manage your company, employees and its assets. You can create employees and add them to departments, manage holidays, and allow employees to request for leave. It also comes with an accounting module to track sales and manage your accounts. 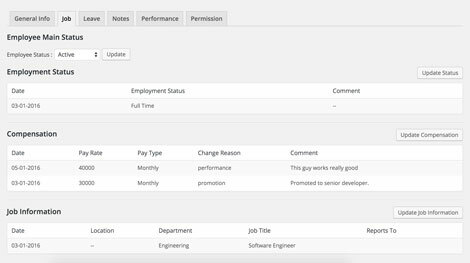 WPHRM: this human resources plugin works with WordPress to let you manage employees and roles. It features attendance management, skill matrix, training & performance, recruitment and other useful modules. You can create payslips with the click of a button. Have you found more advanced HR plugins for WordPress? Please share them here.